It would be shameful if the U.S. government turned its back on one captured American. 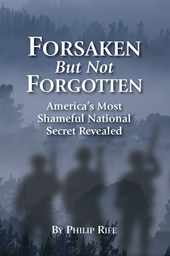 But between the Russian civil war, World War II, the Korean War, Vietnam, and the Cold War, as many as 30,000 American soldiers, sailors, marines, airmen, and civilians were knowingly abandoned by this country’s leaders. 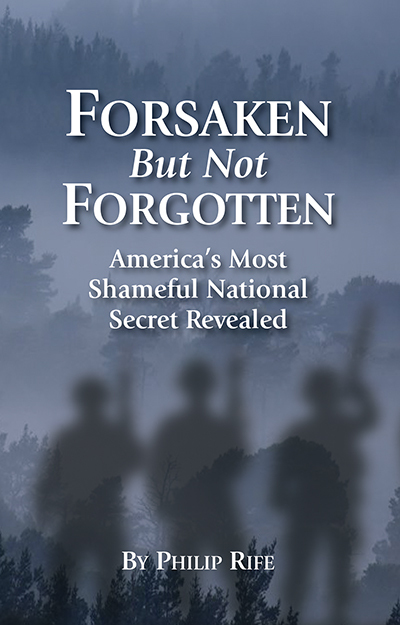 Inside Forsaken But Not Forgotten: America’s Most Shameful National Secret Revealed, longtime author and historical researcher Philip Rife presents the government’s rationale for abandoning so many of America’s military men behind enemy lines. You can decide for yourself whether these were the right actions. American soldiers captured by the Bolsheviks during the Russian civil war. Few people even know Woodrow Wilson sent U.S. troops to help the White Russian forces who were trying to oust the murderous regime that slaughtered Czar Nicholas II, his family and, inevitably, an estimated 66 million Russian Christians. These captured U.S. soldiers were used as bargaining chips by the Bolsheviks. How many were captured and never returned is unknown. 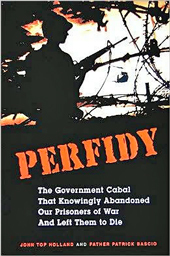 World War II prisoners of the Soviets knowingly abandoned by the U.S. government. It is estimated hundreds—if not thousands—ended up in Soviet gulags and were never returned (probably worked to death). Despite repeated efforts, the truth of this matter has never been made public and the U.S. government still refuses to acknowledge that Stalin enslaved thousands of captured U.S. servicemen. Korean War prisoners of the Soviets, North Koreans and the Chinese. Thousands of other American families whose loved ones survived the fighting never saw them again because the men were knowingly abandoned to their communist captors when the shooting stopped. Today—decades later—President Donald Trump is trying to finally resolve this issue. POWs of the North Vietnamese. After the war officially ended, the U.S. estimated that 3,000 Americans were being held captive somewhere in the jungles of Vietnam, Cambodia and Laos. Though the U.S. military’s war effort never “officially” involved actions outside of Vietnam, hundreds of “ghost soldiers” were sent there and abandoned after the war, the U.S. preferring not to admit it had ever sent servicemen there. Over the decades, sightings of U.S. POWs popped up again and again. Shockingly, private efforts to get jailers in Southeast Asia to turn over these POWs were thwarted again and again by the U.S. government. America’s abandoned Cold Warriors. The story of Francis Gary Powers—the CIA pilot whose U-2 spy plane was shot down in Russian airspace and then released in exchange for KGB Col. Rudolf Abe—received worldwide coverage when it occurred in 1960. 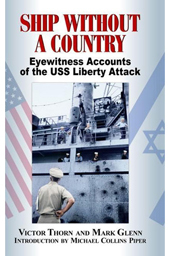 But few people are aware that dozens of other Americans performing similar clandestine Cold War reconnaissance missions were also shot down by the communists and never returned. What happened to them? 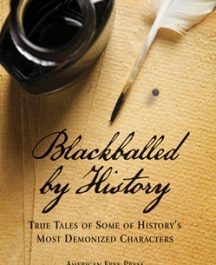 Loaded with 30 illustrations and photos, this is a book you will cherish and pass on to others you want to inform about this national tragedy—one that is in the news right now. PHILIP RIFE is a veteran of the U.S. Air Force and the author of many books, including The Pariah Files: 25 Dark Secrets You’re Not Supposed to Know, It Didn’t Start With Roswell: 50 Years of Amazing UFO Crashes, Close Encounters and Coverups, The Goliath Conspiracy, Premature Burials: Famous and Infamous People Who Cheated Death and Hoodwinked History, Was It Murder? Surprising Facts About 22 Famous Deaths and others. 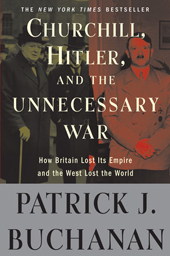 He is also a frequent contributor to The Barnes Review history magazine.